Two cousins with a shared secret move into a haunted castle that turns dreams and nightmares into reality. Arthur Waldo: I can drive! First, let me note that there seems to be different versions of the film floating around on home video. A few reviews complain about poorly lit or dark scenes. Someone mentioned that there's a bad pan & scan version floating around. And apparently, in the early history of the film, there was a badly cut version making the rounds with the title Cars That Eat People. That may have even ended up on VHS. So make sure you get the Home Vision Entertainment DVD released in 2003. It also has director Peter Weir's film The Plumber (1979) as a bonus, plus interviews with Weir about each film, as well as trailers. More importantly, it has a pristine, original widescreen cut of The Cars That Ate Paris. As long as you have your television or monitor set up correctly, the film has remarkably crisp, frequently beautiful cinematography that looks like it could have been shot yesterday. There also seems to be a lot of misunderstanding about the nature of the film. Basically, The Cars That Ate Paris is a quirky art-house drama. 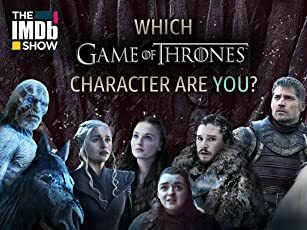 Yes, it has elements of (macabre) humor, horror and many other genres, but those are not a focus. 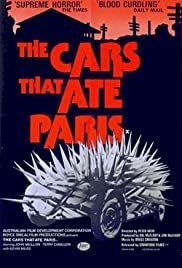 The Cars That Ate Paris is as much a western as it is a horror film, which is not to say that it doesn't have elements of the western genre--it does. But the tone is much more similar to, say, Bagdad Café (aka Out of Rosenheim, 1987) or Delicatessen (1991) (hmmm--notice the culinary metaphor motif). If you want to think of The Cars That Ate Paris as a horror film--and it is basically a surrealist nightmare--think of it as something like Maximum Overdrive (1986)/Trucks ((1997) meets Horror Hotel (aka City of the Dead, 1960), but made by David Lynch as a "realist" soap opera. So what is the film about more literally? Well, it's best perhaps if you know as little about it before as possible, but on the other hand, it's a bit cryptic, and Peter Weir isn't exactly forthcoming with explanatory exposition--the film remains very open to interpretation to the end--so maybe a vague description won't hurt. The Paris of the title is not in France. It's instead a small, bucolic village in rural Australia. The town has quite a few "dirty secrets". The two primary secrets have to do with an automobile (part) obsession and a program of human experimentation. For the most part, they try to keep people out of the town, which has a very small population, but their twisted fetishes necessitate the occasional admission of outsiders, though in an unusual, involuntary manner. The film is centered on the story of one particular outsider, Arthur Waldo (Terry Camilleri), who manages to enter Paris relatively unscathed and who for unspecified reasons is worked into the fabric of the town. Arthur's arrival and integration roughly corresponds to a growing cleavage between generations, or at least between the status quo and a rebellious group of younger men, and he unwittingly serves as a catalyst to what amounts to a civil war. Although in Peter Weir's video interview included on the DVD he refers to Arthur as an unsympathetic protagonist, I beg to differ. Camilleri plays Arthur as an enigmatically captivating simpleton--the most entrancing "blank" personality this side of Peter Sellers' Chauncey Gardiner in Being There (1979). For most of the film, Weir shuttles Arthur around like a pawn, enabling a metaphorical window through which to satirically examine small town (Australian) life. In this respect, The Cars That Ate Paris somewhat resembles the basic gist of Lars von Trier's Dogville (2003), except that unlike Dogville, The Cars That Ate Paris is a good film. It's particularly funny how Arthur is shuttled into a variety of jobs, which he is assumed qualified for by a mere change of clothing (and very minor changes at that) and title. He's a doctor one moment, a parking enforcer the next. Weir works in satirical jabs towards everything from appealing to noble grand narratives about pioneer forefathers to the discrepancy between religious, private and political life, the myth of the well-adjusted nuclear family, the charade of public ceremonies, and even partakes in a slight Lord of the Flies-styled commentary on "progress". But not everything is social critique. Weir is just as concerned with (and just as good at) imbibing in quirkiness for its own sake (although even that stuff we could read as a critique on social conventions if we wanted to) and see-sawing between a kind of community existentialist nightmare and an Our Town-like small village drama. And just in case that's too balanced, every so often he puts us in the middle of a spaghetti western, with the beginnings of mid-street showdowns. Much of the rebellious youth material can be interpreted as a western with hodge-podge automobiles, which is probably why those youths are the ones to don clothing that looks as if Weir borrowed it from the set of A Fistful of Dollars (aka Per un pugno di dollari, 1964). The music is similarly disparate, ranging from techno-psychedelia that's something like Pink Floyd's "Time" to pensive contemporary-sounding themes, or the hilariously amateurish performance at the Paris Ball. This is definitely not a film for all tastes. If you wouldn't typically like art-house films, you probably won't appreciate The Cars That Ate Paris, either, and even if you do typically like art-house films, you probably won't appreciate The Cars That Ate Paris unless you have a strong taste for the bizarre and macabre.